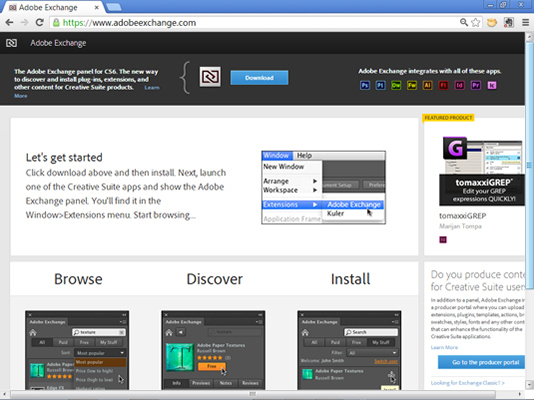 You can use Adobe Dreamweaver CC to create new websites or redesign existing ones. 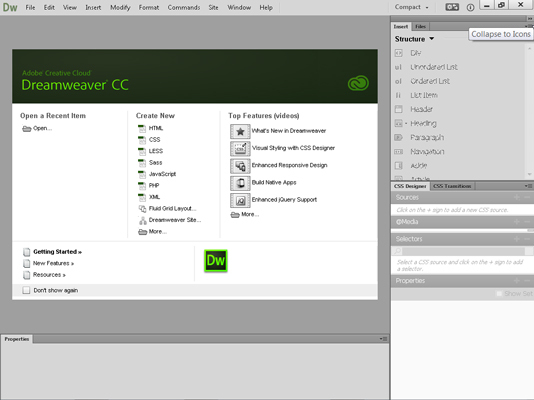 In Dreamweaver CC, which stands for Creative Cloud, you find the familiar Welcome page plus new tools for managing Cascading Style Sheets (CSS) and web fonts. Enhance Dreamweaver by installing plug-ins, or finesse your website by perusing a list of links for web designers. Even experienced web designers refer to online resources to keep up with their skills and add special features to their websites. The following websites will make it easy for you to find some resources that can help you with your web design projects.